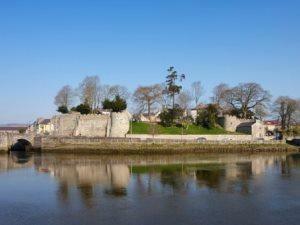 Cardigan Castle has a fascinating history. It has witnessed iconic battles, housed famous figures and is the birthplace of Wales’ iconic cultural festival, the National Eisteddfod which first took place in 1176. An incredible setting for a wedding, Cardigan Castle will provide an impressive backdrop for your special day. Whether you are planning a lavish party or an intimate wedding for close friends and family, the Castle offers you a spectacular venue to create a memorable day. The dedicated and experienced wedding team will work with you to deliver a perfectly co-ordinated event and will guide you through all that needs to be done in preparation for your wedding. Imagine a reception set in the splendour of Regency style gardens. Waving to your guests from the upper balcony of an elegant Georgian mansion-house. Dining with views looking out onto the River Teifi. A day to remember. In order to secure a booking for your wedding a £1000 non-refundable deposit should be submitted along with an official wedding venue hire agreement.